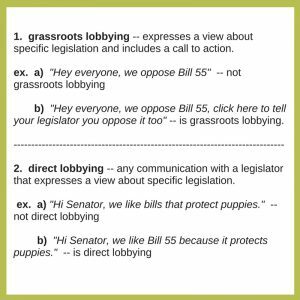 Can a 501(c)(3) Organization Lobby? Yes, it can! 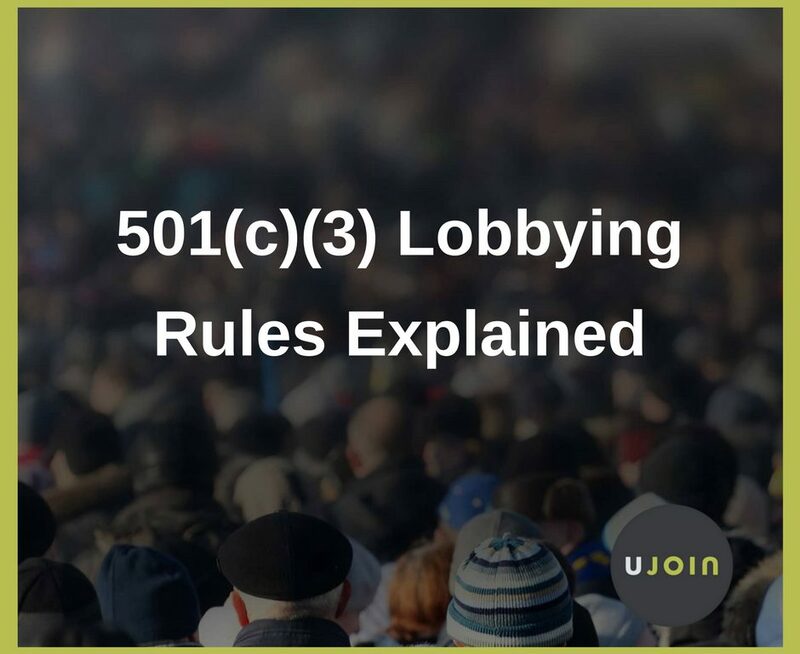 At Ujoin.co we work with a lot of 501c3 nonprofit organizations, and, well, I wish I had a dime for every time I hear someone tell me they’re not allowed to lobby or advocate. The big takeaway is that for the most part, organizations and likely most legal advisors take a far too cautious approach. 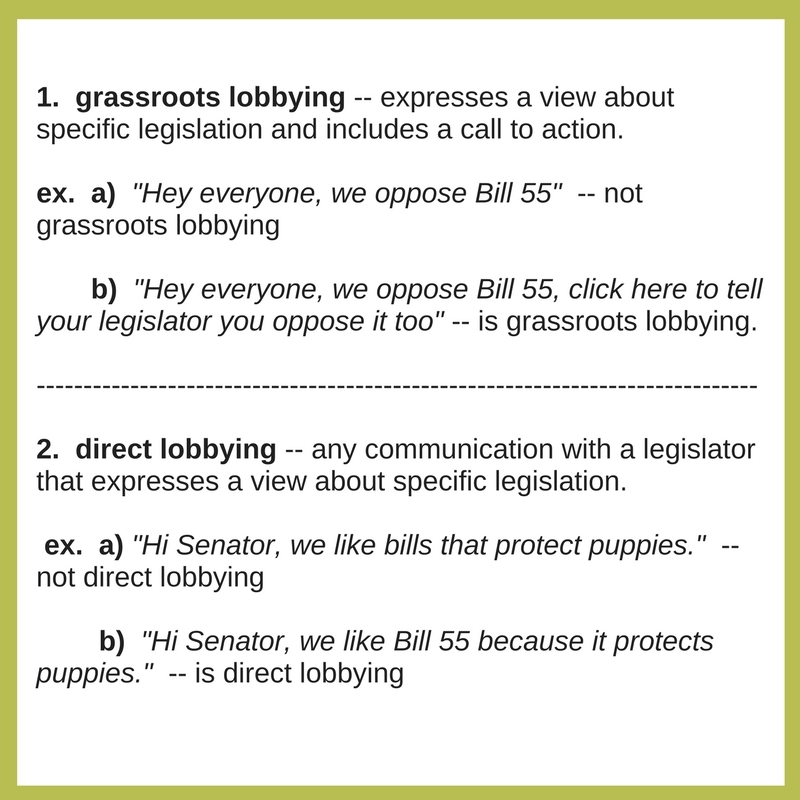 * You are, in fact, allowed to lobby. Am I Allowed to Lobby? Obviously, the short answer is “yes”. 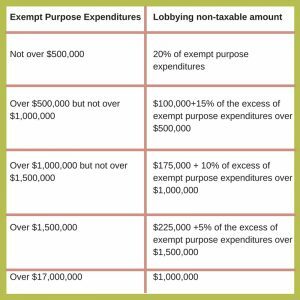 If your organization’s annual expenditures are below $500k per year, then you can spend up to 20% of your budget on lobbying. 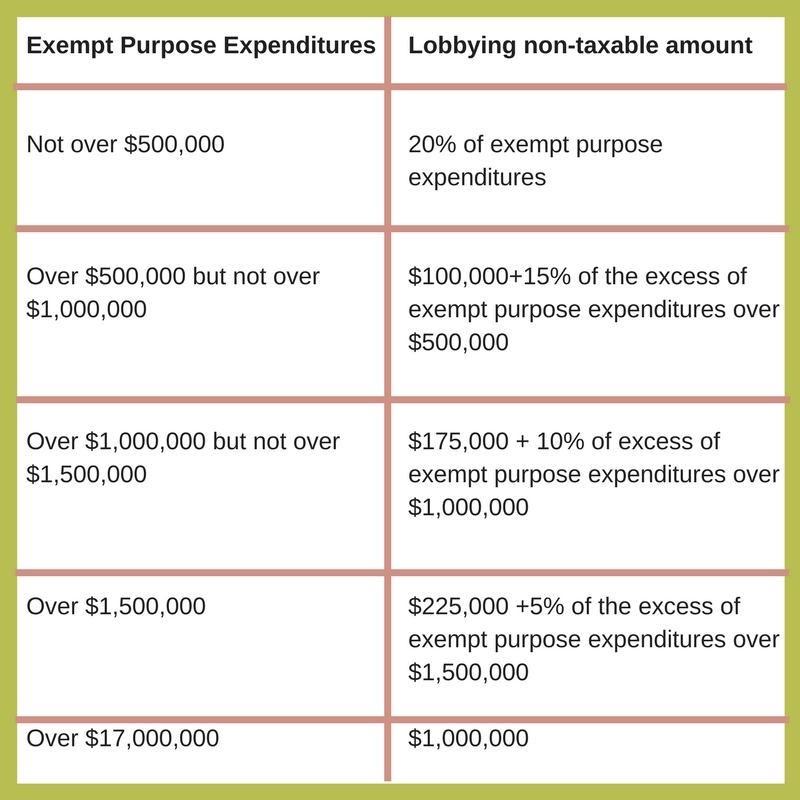 If your annual expenditures are over $1M, consult your lawyer, but know that you are allowed significant expenditures on lobbying, and you should choose a lawyer who understands this fact. If your annual budget is between $500k per year and $1M per year you’re allowed to spend 15% of your budget plus another $100k. You can reference the chart below for exact rules on this. Disclaimer. The materials available at this web site are for informational purposes only and not for the purpose of providing legal advice. You should contact your attorney to obtain advice with respect to any particular issue or problem.